On Sale Now! 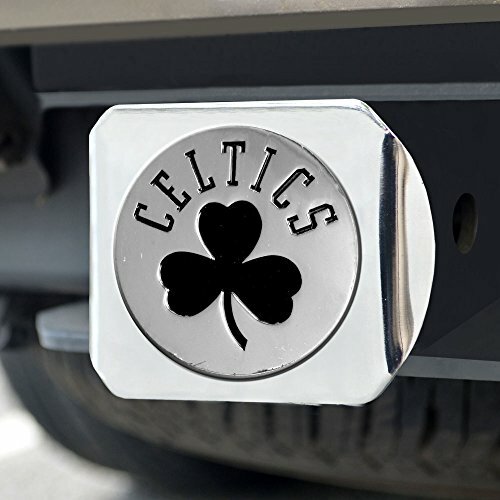 Save 10% on the Fanmats NBA Boston Celtics Hitch Cover 3.4x4 by Fanmats at Basket Express. MPN: 15114-2. Hurry! Limited time offer. Offer valid only while supplies last. Sports Licensing Solutions' hitch covers let everyone see your favorite team and they keep debris out of your hitch. Fits all 2''/type III hitches. 100% chromed metal. 3-D molded team logo. Easy on and off. Safe and secure. Fits all 2" / Type III hitches. Attaches without use of tools. Size: 3.4"x4", Weight: 1 lbs. CC Sports Decor NBA - Denver Nuggets Light Up Hitch Cover - 21"x9.5"
CC Sports Decor NBA - Charlotte Hornets Light Up Hitch Cover - 21"x9.5"
CC Sports Decor NBA - Chicago Bulls Light Up Hitch Cover - 21"x9.5"